Tucker 1044 even received a shout-out in the article. Lieberman has owned five Tucker 48s, including chassis 1044, displayed in unrestored form by current owner Howard Kroplick at the 2017 Hemmings Motor News Concours d’Elegance. (Restored by Ida Automotive in 2018, chassis 1044 was one of the Tuckers shown at the Pebble Beach Concours d’Elegance last August). Nostalgic Motoring, Limited, Lieberman’s company, manufactures and sells a series of replacement parts for the Tucker 48, including cast-aluminum cylinder heads, stainless-steel wheel covers, enameled emblems, and Tucker Torsilastic Suspension units. He serves as the historian and technical advisor for the Tucker Automobile Club of America (TACA), and sits on the AACA Museum Inc.’s Board of Directors as the Executive Board Representative for the TACA. Born three years before his grandfather’s death, John has spent his life learning about–and honoring–his grandfather’s legacy. A past president of the TACA, John currently sits on the club’s Advisory Council and served as an advisor to the AACA Museum during the construction of the Cammack Tucker Gallery. He also sits on the Board of Directors of the Swigart Museum in Huntington, Pennsylvania, which owns Tucker 1013, seen in the 1988 Hollywood movie, Tucker, The Man and His Dream. Described by the museum as “the center of the Tucker universe,” the Cammack Tucker Gallery is home to chassis 1001, the first Tucker 48 produced; chassis 1022, the first Tucker acquired by collector David Cammack; and chassis 1026, said to be the only surviving example equipped with an automatic transmission. 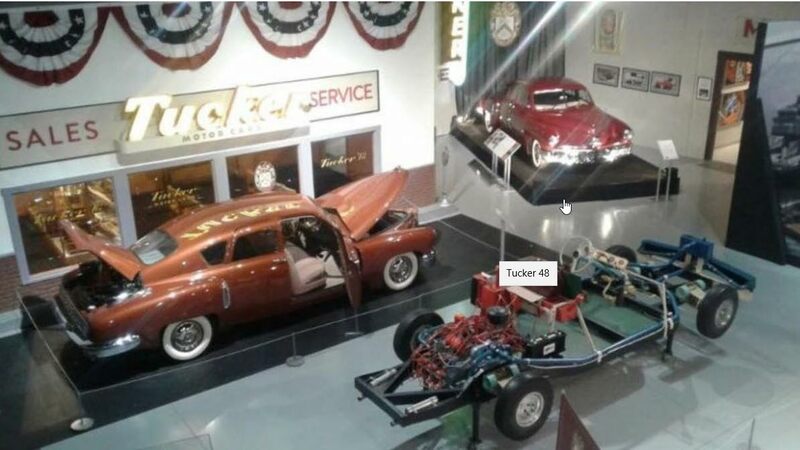 The collection–bequeathed to the museum following Cammack’s death in April 2013–also includes a Tucker rolling chassis, experimental engines, extensive brand memorabilia, and a fiberglass Tucker replica, also seen in Tucker, The Man and His Dream. 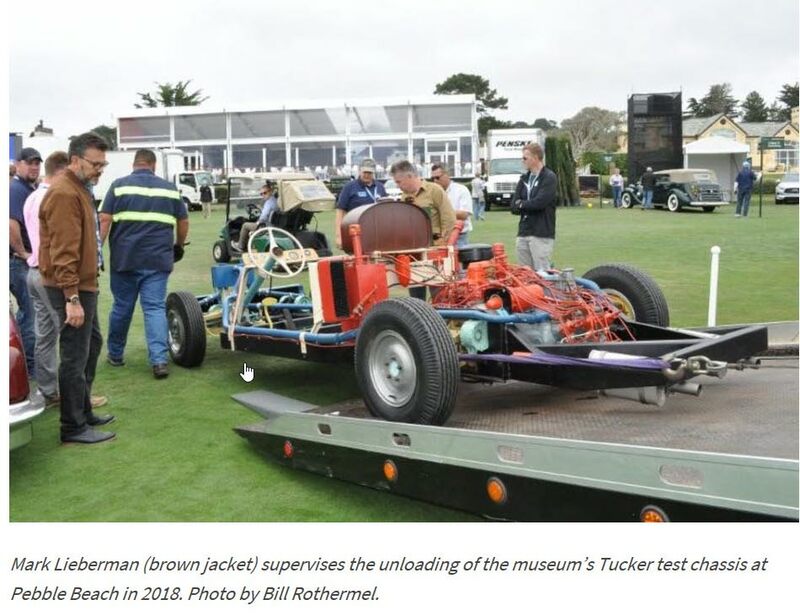 Mark Lieberman (brown jacket) supervises the unloading of the museum’s Tucker test chassis at Pebble Beach in 2018. Photo by Bill Rothermel.